Now imagine the oats used in that cookie have been coated in honey and tossed with nuts and seeds and coconut and toasted until, well, toasty. 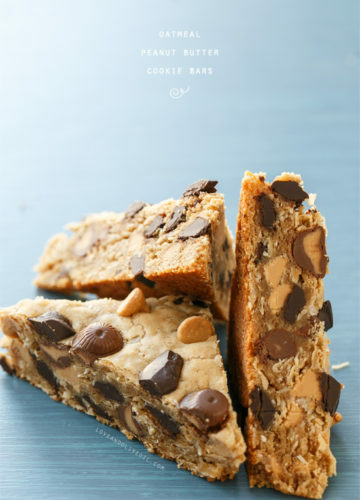 Those toasted oats and goodies are folded into a brown-sugar cookie dough along with dried cherries and chocolate (always chocolate) and a sprinkle of sea salt. 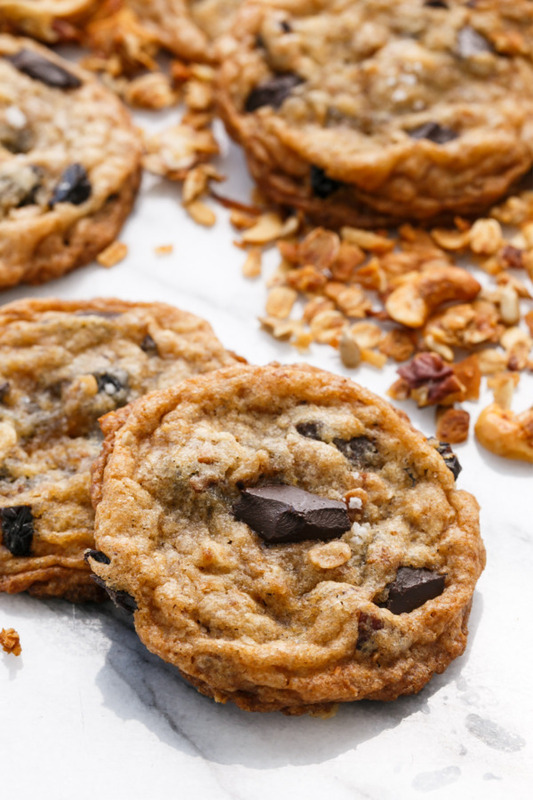 Once baked, these mythical cookies come out of the oven equal parts crispy and chewy (no need to choose sides this time), with crisp, lacy edges (think florentine) and far more substance than your run of the mill chocolate chip cookie. Now let’s stop imagining, and make that vision a reality. 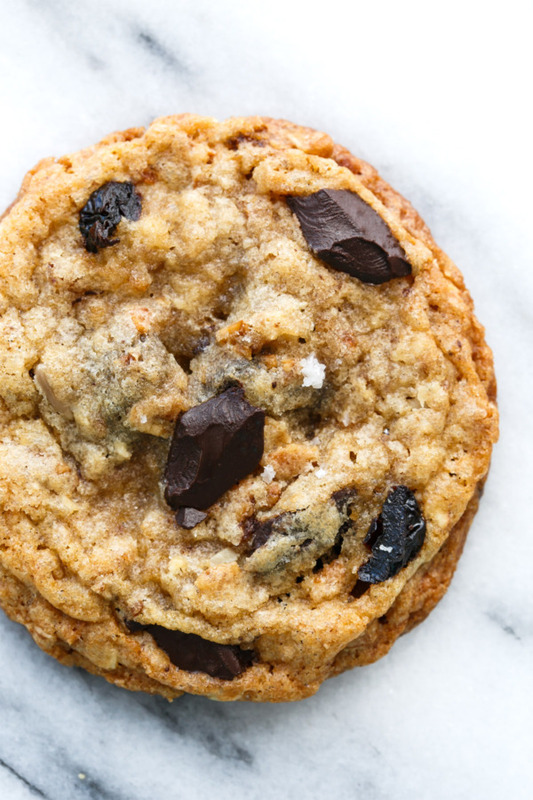 This cookie recipe comes from our second cookbook, Breakfast for Dinner. It’s one of our all-time favorites, and I figured it was high time I shared it here with you. Basically, we’re swapping the oats in a classic Oatmeal cookie with toasted oat granola. 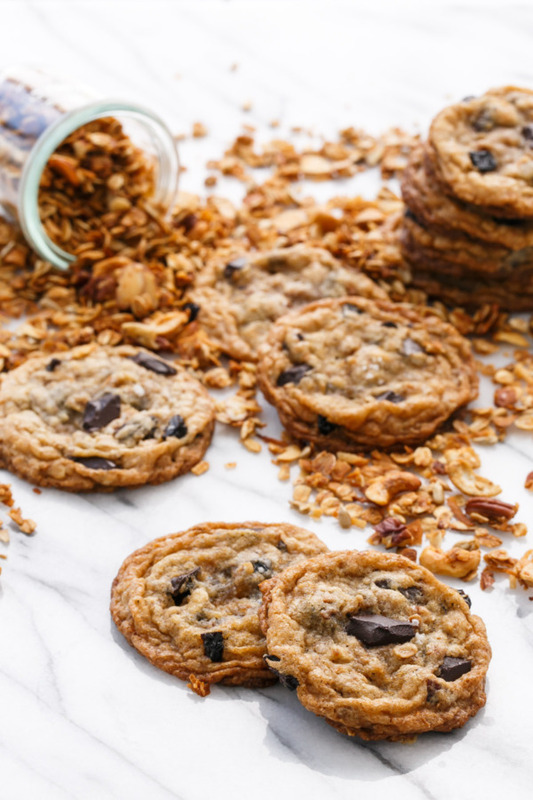 It’s a little more complicated than that (all the extra ‘stuff’ in the granola affects the cookie in more ways than you’d think) but with a bit of tweaking these cookies are far more extraordinary than you’d think just by looking at them. Trust me. 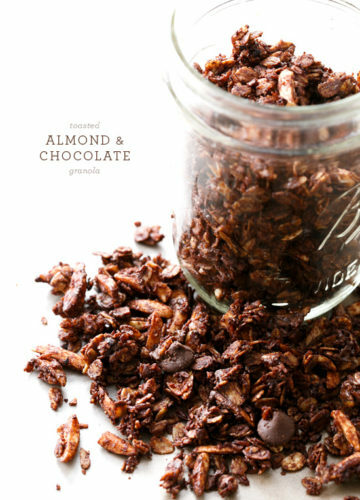 You want to use a primarily oat-based granola recipe here, something without a lot of ‘extras’ like dried fruit, chocolate chunks, and clusters. Our go-to granola recipe is in the book, but it’s pretty similar to this granola recipe I shared way back when. 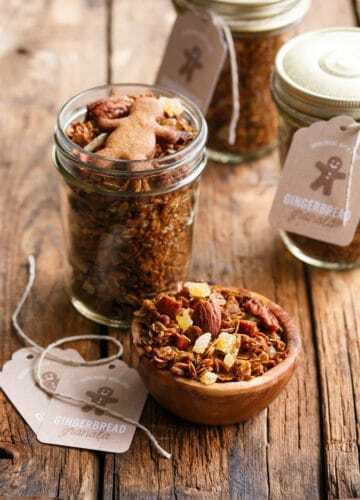 This chocolate granola or even this gingerbread granola recipe would also be pretty darn fabulous here. 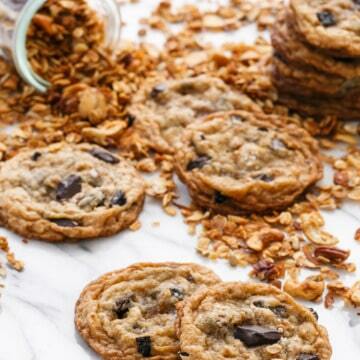 Because of the varied nature of granola, these cookies are far from perfect. 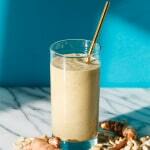 Depending on what granola you use your cookies might be flatter or puffier or chunkier. Even cookie to cookie will vary quite a bit; some might spread more than others, developing thin, caramelized edges that are delightfully crispy. You know what I say? 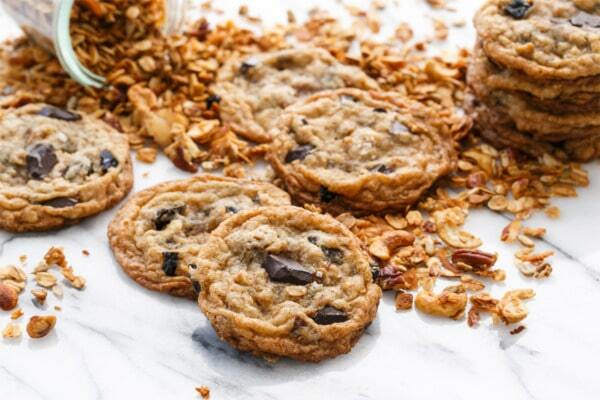 There’s granola in them there cookies and that makes them perfectly acceptable for breakfast. Breakfast cookies. I like the sound of that. 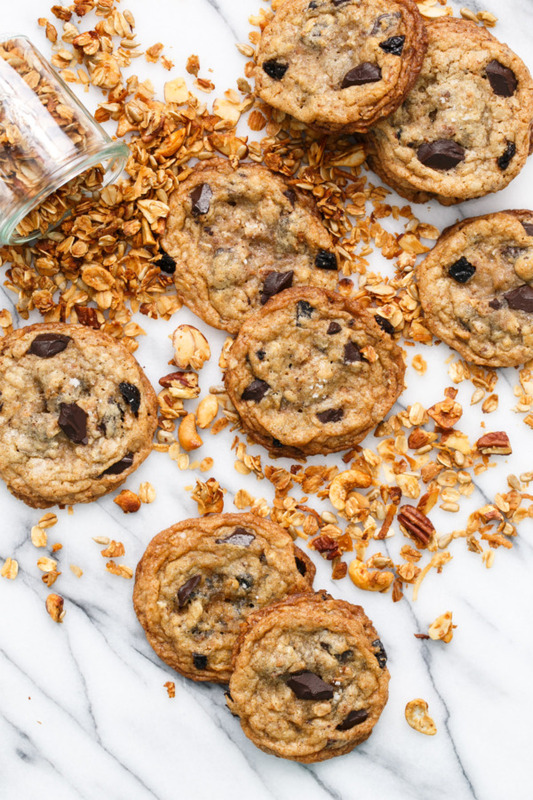 Everything you love about granola, rolled and baked into a salty sweet oatmeal cookie that’s equal parts crunchy and chewy. In a bowl, sift together flour, salt, baking powder, and baking soda; set aside. In a large mixing bowl or the bowl of a stand mixer, cream butter and sugars on medium-high speed until light and fluffy, 1 to 2 minutes. Add eggs and vanilla and mix well. Add dry ingredients and mix until well incorporated. Stir in granola and oats, followed by chocolate chips and dried cherries. Drop by rounded tablespoons onto parchment lined baking sheets, leaving about 2 inches of space between them. 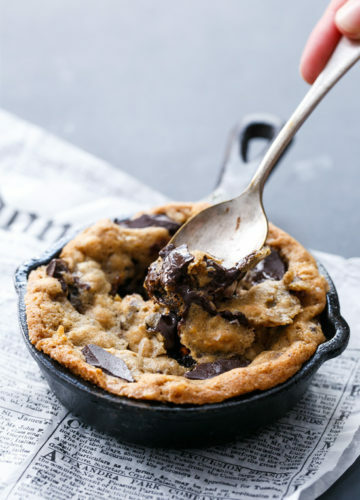 Bake for 10 to 12 minutes or until cookies are puffed and edges are lightly golden. Allow to cool for 5 minutes on baking sheets, then transfer to wire racks to cool completely. These cookies sound incredible. Your description has me craving them right this second! 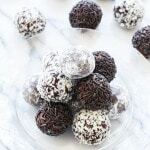 I loved the flavour, these look absolutely delicious!! Excellent cookies!! Wow, looking delicious. I love Chocolate Chips. I would try it for sure. Great share. The idea of using chocolate chunks instead of raisins is very creative. Thanks for sharing.